Don Quixote was published by Spanish author Miguel de Cervantes in two parts. The first part was published in 1605 and the second part was published ten years later. 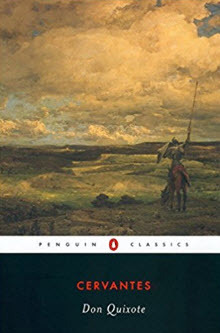 The satirical novel follows the adventures of Alonso Quixano (Don Quixote), who goes on a journey as a knight-errant to return chivalry to his country after reading numerous tales about knights. Here is a collection of quotes from Don Quixote by Miguel de Cervantes.